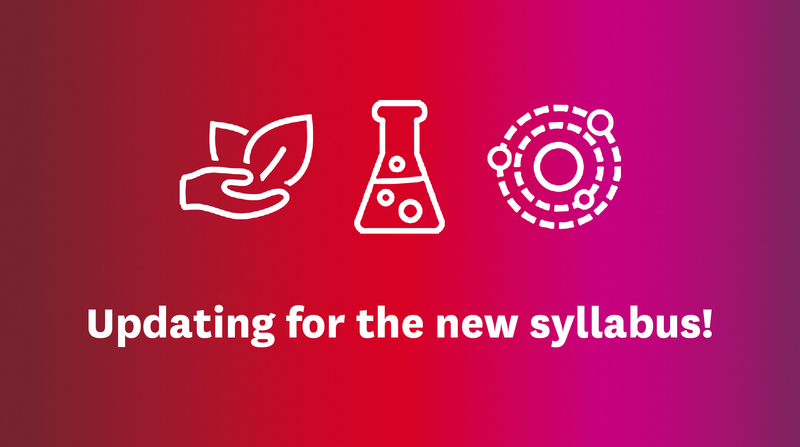 We would like to let you know that we are working on updating our resources to meet the requirements of the new science syllabus. New Preliminary biology, chemistry and physics courses will be available by Term 1, 2018. The current courses will also be available for those students sitting their HSC in 2018. All the content for the new syllabuses will be covered in a similar structure to our current courses - through video lessons and animations, games and simulators, and hundreds of practice questions. All the content for the new Stage 6 HSC syllabus for Biology, Chemistry and Physics is written and presented by expert Stage 6 teachers and HSC markers. They are guided by the quality teaching principles emphasized in the Australian Professional Standards for Teachers. As we know that students learn differently, our course material is covered through the pillars of Watch, Play and Apply. Students can watch comprehensive video lessons and animations, play games and simulators based on the lesson content, and apply their knowledge with hundreds of practice questions. Each video lesson will have accompanying practice questions with worked solutions so students can check their understanding. The videos will also have closed captions. These can be incorporated into teaching programs to address the individual learning needs of students. In addition to the updated content we have addressed the requirements of the new mandated Working Scientifically and Depth Studies content. Our Working Scientifically activities will look like mini projects at the end of each module. they will be based on virtual interactive experiments, processing of data and/or report writing depending on the specific requirements of the working scientifically outcomes for that module. Each activity will produce an individualised report based on that students' input that students can download and submit to their teachers. Data within the activities will be randomised to create a unique student experience. At the course level we will have another Working Scientifically activity, though larger, and will feature all the Working Scientifically outcomes for the course. The course level will also feature our student led Depth Study, which will be a guided template taking the student through the steps of conducting an independent study and again feature a downloadable report that they can submit to their teacher. Whilst acknowledging the importance of assessments and the HSC examinations, HSC Study Lab has been designed to prioritise the complete learning experience of the student, rather than simply providing intensive cramming sessions.